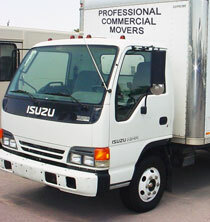 Your commercial requirements for movers are vital and you will need a company that can work on your schedule. New York Movers is the first choice when looking for a commercial movers and we will complete the job to your specifications as your experienced and helpful movers. We have competitive rates to get the most out of your commercial move to save you money and complete the move fast to make sure your back on track without a hitch. And all your other needs! When you have a commercial move, call New York Movers to get it done right!